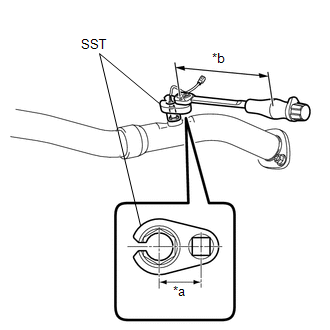 (a) Using SST, remove the heated oxygen sensor from the front exhaust pipe assembly. 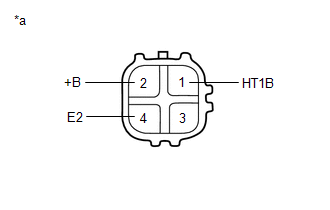 If the result is not as specified, replace the heated oxygen sensor. 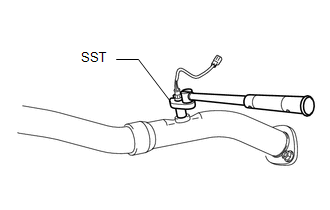 (a) Using SST, install the heated oxygen sensor to the front exhaust pipe assembly. If the heated oxygen sensor has been struck or dropped, replace it. The "with SST" torque value is effective when using a torque wrench with a fulcrum length of 300 mm (11.8 in.). If using a torque wrench with a different length, or connecting the torque wrench and SST at an angle, refer to the alternate torque values (See page ). 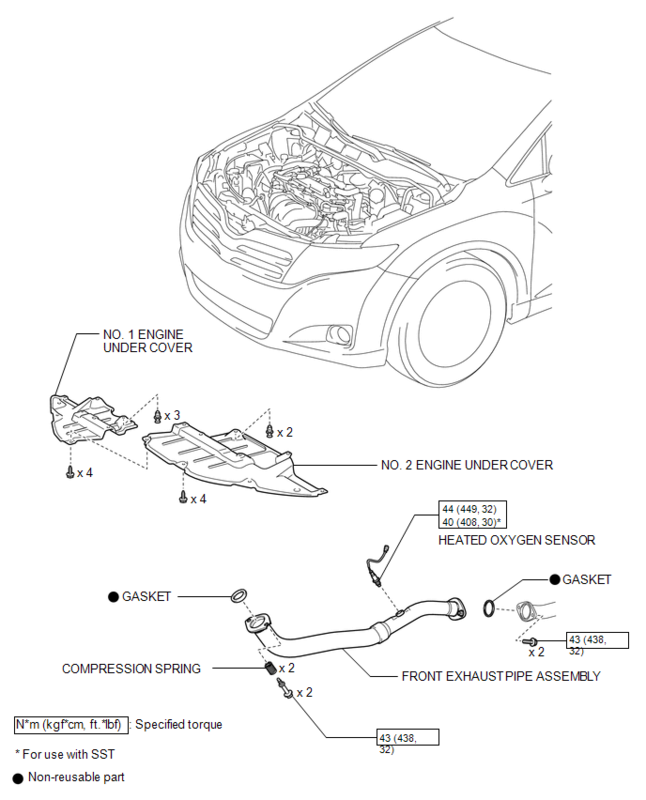 (a) Perform "Inspection After Repair" after replacing the heated oxygen sensor (See page ).